Nicole Emily Marcia is the Founder/Director of Fine Balance Yoga. Since 2004 she has taught therapeutic yoga classes and offered individual sessions to trauma survivors struggling with addiction, depression and anxiety, teaching them healthy self-regulation strategies to empower them to live connected and embodied lives. She also trains yoga teachers and clinicians in the trauma-informed yoga theory and techniques required to support trauma survivors in their healing, long-term stability and recovery. 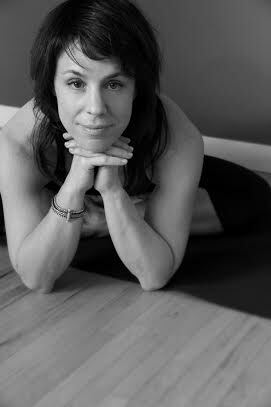 In 2009, Nicole was awarded a master’s degree with a specialization in yoga therapy from Lesley University in Boston, MA. Since then, she has been employed by Vancouver Coastal Health at their Burnaby Centre for Mental Health and Addictions, where she developed a comprehensive yoga therapy program for in-patient clients in various stages of recovery from mental health and addiction issues. She also serves as the director of training at Yoga Outreach, a not-for-profit organization providing volunteer yoga teachers to marginalized populations.